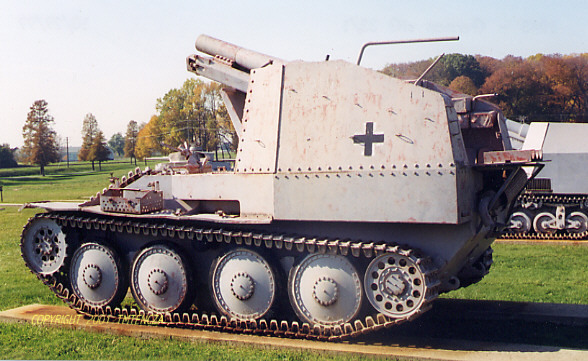 1943 - German SP Heavy Infantry Gun on Czech 38(t) chassis Grille Ausf K (SdKfz138/1) . 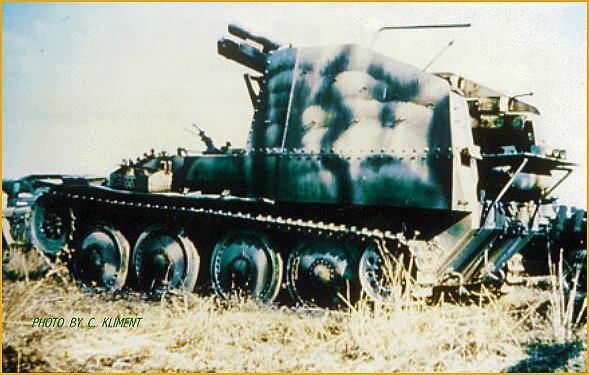 The Grille (Cricket) was developed by adding a heavy infantry gun to the 38(t) Czech chassis. 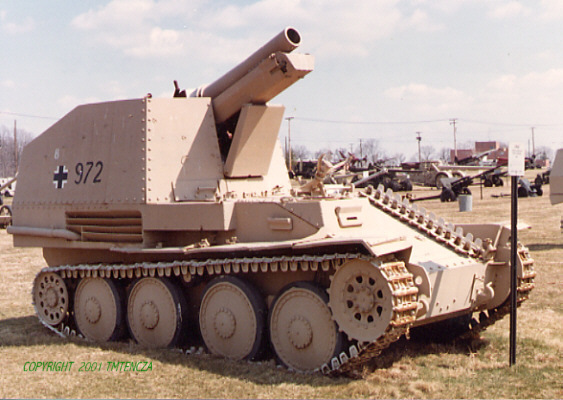 The gun was protected by a heavy spring flap, a feature of the siG 33/2. Served in Russia, Tunisia, Italy and France. In 1945 still in service. About 282 were produced.